I find this sketch particullarly capativating. While there is a certain simplicity to the drawing, I am spellbound by her peaceful beauty. She is somewhat intimidating; leaving one feel that it would require a special invitation to talk to her. I give it a 10! Lovely! 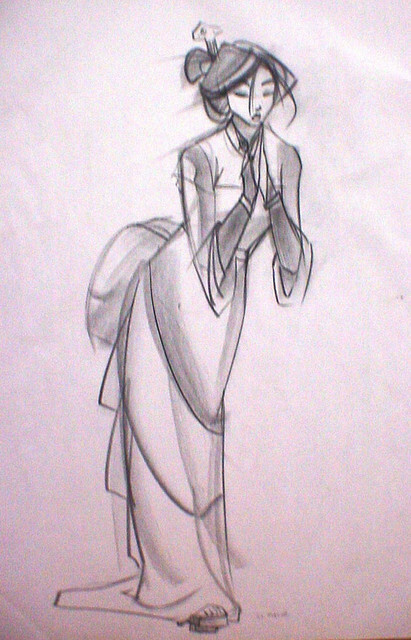 This looks like Mulan concept art! wow, this is beautiful. She is so amazing. The only bad(well its not bad) thing is her kimono looks a little 1800's and less chinese.